Part of saving native culture and identity. For linguists, pidgins are simplified languages that develop as a means of communication between two or more groups that do not have a language in common. Many pidgins have been developed around the world because of trade, plantation systems, and maritime activities. Pidgins are often limited to a vocabulary of about 300 words. By that definition BASIC English developed in 1925 would have a kind of pidgin, although I think it had 800 core words and 200 technical ones. People who speak pidgin also speak another language as their mother tongue. In contrast, creoles are the languages that are developed by the children of pidgin speakers. As the children grow up, they expand the vocabulary, pronunciation, and grammar so that they can use it as their main language of communication. Speakers of creole languages typically have at least 1000 to 3000 words. So even though people often refer to "Hawaiian pidgen", it is properly characterized by linguists as "Hawaiian creole" as it is over a century old and has certainly developed a vocabulary of more than a few hundred words. Native speakers number roughly 600,000. "Da Kine" is probably the most commercialized phrase from Hawaiian pidgin. I admit. I losing it. Any moment now I might jus buckaloose! Maybe it’s cuz dis gotta be da stupidest tourist question eva posed to me during my 15 years driving dis trolley bus. Maybe it’s cuz of dat crazy onreal magazine article I jus read about da future of Hawai‘i nei. Maybe it’s cuz dat article finally made me realize dat da American Dream I been chasing, while trying for maintain my unsteady and junk-paying job, must not apply to Hawai‘i people. I guess up till now I nevah notice da fine print where da ting says “American Dream only applicable in the continental United States. Offer not valid in Hawai‘i.” For some reason, us, we always no count, brah. Like how if get one fast-food commercial on TV, half da time da Hawai‘i price not going be what dey say, cuz dey flash da disclaimer, “Prices may be slightly higher in Hawai‘i.” Or like when we mail order stuff and dey charge us “international” shipping. Like what is dat? And even when I call ’em up for correck dem for let ’em know dat da battle’s not yet won and Native Hawaiians still fighting for sovereignty, dey jus respond with one “Excuse me?” Like dey no catch on to da joke das not one joke. It’s probably one combination of all of these tings perculating, so when my passenger Omaha, Nebraska, ask-es me “Do you folks have Christmas in Hawhyah?” I no can handle. I know it’s almost Christmas, but I got no Christmas spirit in me. I used to da stupid questions like if we live in grass shacks. If we use American money. If we have electricity. If we surf. If we surf to work?! I admit, das da kine images those picture postcards perpetuate. So maybe it’s not entirely da fault of da stupid tourist that they’re misinformed. But c’mon. Christmas? I tinking brah, get Christmas all ova da world, you tink Hawai‘i is dat exotic and far away dat Christmas no can reach ova hea? I almost crash my trolley bus cuz I too busy rolling my eyes cuz da question sooooo mento. Das when I get one idea. Hearing dis tourist’s question brings me back to da time my good friend Braddah Mike wen mail me dat lettah from when he went Big Island for do his research projeck for get his Ph.D. Dat wuz nice of him for correspond I remembah tinking. Cuz usually if Braddah Mike goes someplace I no find out about ’em till way aftah he comes back. I opened da envelope and Scotch-tape to his lettah wuz what appeared for be one little piece of gravel. In his lettah he explained how he wuz mailing me one souvenir, one small rock he got from Hawai‘i Volcanoes National Park, da home of Pele, da Hawaiian Goddess of da Volcano. Ho, I wen let-a-go da lettah so fast. Sucking Mike. Why wuz he cursing me I wondered. Da superstition goes, you not supposed to steal Pele’s rocks. Everybody know dat. Fourth grade Big Island field trip, brah. When you go dey always telling how each year people disregard da warnings and decide for snake some. But eventually dey all get sent back. On display wuz some of da actual lettahs from both Locals and tourists explaining how dey took rocks and brought ’em home and dey wound up with all kine bad luck so das how come dey mailed ’em back. Some people loss all their money. Some got all kine mysterious illnesses. Some loss their jobs, their homes and/or their loved ones. Some died, so their relatives wuz da ones who sent ’em back, cuz dey nevah like come ma-ke die dead too. So what da heck wuz Braddah Mike doing I wondered. What I eva did to him? I called ’em up for broke his ear ova da phone. Das when he explained to me what he found out in his research. He said da story of Pele’s Curse nevah have no basis in Hawaiian mythologies. In 1946 one park ranger wuz tired of people desecrating da landscape so he wen go invent da story of Pele’s Curse. Yet, even though he made ’em all up, word spread and eventually ukuplanny people fo’ real kine believed. And not jus tourists. Locals too. Even Locals who wuz Hawaiian. So da whole ting’s fo’ fake, but Braddah Mike said das da powah of superstition and belief. But before I can even start dey already bombarding me wit questions. I dunno why tourist people always gotta interrupt. “Where does your Hawaiian Santa live?” “Does he ride a sleigh?” “Do you have reindeer here?” And of course, “So are all your toys made of koa wood?” I feel like telling da guy, yeah brah, alllll Local people shop at Martin & MacArthur. In fact, I even planning on selling my giant flat-screen HD TV and my entire home entertainment system ... so I can buy one niiiice koa papahclip. All my life I been catering to da tourists. In high school I took Japanese as my second language instead of Hawaiian. Imagine dat. And I not even Japanese. But counselors told me Japanese mo’ bettah cuz I can use ’em for get one job later on. So I took ’em, even though wuzn’t interesting. Japanese tourists probably not too impressed by my remedial mastery of common Japanese phrases like “Onamae wa nan desu ka?” and “Genki desu ka?” What’s your name? and How are you? I also know “Gorufu o shimashoo ka?” Would you like to play golf? But I nevah really had da chance for use dat one cuz like I can afford for take up golfing. Da only Japanese phrase I use on one consistent basis is “Nihongo ga wakarimasen,” which means I don’t understand Japanese, which I suppose is little bit ironicals cuz I telling dat to dem ... in Japanese. Maybe das why dey always look at me funny kine. Since small-kid time everybody wuz always telling me how we gotta do everyting for show da hospitalities to da tourists. Even da hotels I go, dey all fully kowtow to all da visitors. I found out couple hotels wen even ban Braddah Iz. You can believe dat? First I heard dat I wuz puzzle. I wuz like how can you ban one dead guy? Das when my friend wen go explain how wuz Braddah Iz’s music dat wuz ban. At da hotel my friend Koza work at, he said it’s cuz “Hawai‘i ’78” wuz playing in da lobby so one tourist lady wen go complain about how da song made her feel unwelcome so management wen go reack. Or maybe I should say dey wen overreack cuz dey wen go ban all songs made by Hawaiian song legend Israel Kamakawiwo‘ole. I could maybe see how da song “Living in a Sovereign Land” might upset some tourists, cuz it alludes to da overthrow of da Hawaiian nation and wanting sovereignty for da Hawaiian peoples. But to me ah, “Hawai‘i ’78” is more about what we going do about rampant overdevelopment. My friend says da part da tourist lady probably nevah like wuz da part dat goes “All the fighting that the King had done. To conquer all these Islands, now there’s condominiums.” He said it probably made her feel guilty for staying at da hotel. I couldn’t understand how stopping da song from being played wuz going soothe her guilt. Wouldn’t it make her feel even more guilty cuz she wuz helping for hide da truth? I no can understand tourists. From small-kid time, our kūpuna always emphasized how we need da tourists. Our elders, our teachers, all told of how tourists is good for us. Kinda like vegetables, bland, but full of richness. And how we need tourists for keep coming back, cuz dey keep our economy going. But what dey nevah fully understand is so what we do when da tourists return, but nevah go back? According to da article I jus read inside HONOLULU Magazine, da statisticians predicting dat by da year 2020 Hawai‘i going get more people born outside ova hea living hea than those who wuz born ova hea. In oddah words planny Hawai‘i people going be force for move away. I know some of these newcomers going be immigrants cuz Hawai‘i get one history of immigrant labor from way back in da plantation days. But da article said most of da new residents is going be rich Mainland transplant peoples. Cuz seems like getting for be das da only people who can afford for live ova hea. “No werry,” I begin. “All your questions going be answered during da course of my myth-o-ma-logical tale.” I scan my rearview mirror. I see all eyes stay transfixed on top me. Well, on top da back of my bolo head, anyway. “You know how da Haole Santa lives in da North Pole? You tink das extreme? Das nahting. Hawaiian Santa, brah, he live in ... da volcano. I know Malibu ova dea looking at me like he no believe. Well, he can go check ’em out den. See, cuz before time, back in da ol’ hanabatta dayz, one good Hawaiian man named um, Kalikimaka, yeah, Kalikimaka. He wuz weary. He wuz tired of big multinational corporations bullying him off his house on da beach so dey could make all their fancy hotels. So for get dem for stop hassling him, he wen decide for hele on. “Den later when Kalikimaka wen go move up da mountain, rich real estate developers wen go muscle him out again so dey could build all their luxury homes wit da scenic views. Kalikimaka wuz tired fighting so he wen decide for move again. Dis time to where nobody would boddah him. Straight into da volcano. “When people saw da guy who wen jump in da volcano dey assumed he wen commit suicide. Da story wuz even in da papah and had his obituary too. It said Kalikimaka wuz one good-natured man. Always laughing and smiling. Das why all his friends called him uh, ‘Mele’ Kalikimaka, cuz he wuz always so happy. “But aftah awhile Kalikimaka came not so merry. Living in one volcano can do dat to you. Picture living ‘Ewa side, no more air condition, and get all kine fumes coming from Wai‘anae landfill. Smelling da pilau air every day, Kalikimaka started for come bitter and resentful. You know how Haole Santa get elfs. Well, Hawaiian Santa get menehune. Menehune is da opposite of elfs. Same height but opposite. While elfs is benevolent and dey make tings for give away, menehune is mischievious and dey like for steal. At first Kalikimaka did kolohe rascal kine stuff for get back at people. Like he would enlist da help of da menehune and have dem steal tings for fun. Like cameras and purses from tourists when dey parked at Pali Lookout and left their stuffs in plain view on top da front seat wit da window down. But while wuz fun for see da angry look on da tourists’ faces when their stuff wuz gone, Kalikimaka still wuzn’t satisfied. “Cuz still had rich people buying Hawai‘i up. So Kalikimaka decided for do what da government couldn’t do. Back in da ’70s Gov. George Ariyoshi wen go enact da law where public jobs could only go to Local residents. Da tinking wuz das going deter outsiders from moving ova hea. Cuz how dey can come one resident if dey no more one job? And how dey can get one job if dey not one resident? And for long time da law wen fly. And wuzn’t until recently dat couple Florida guys wen sue and so da ACLU wen complain cuz dey said das illegal discriminations and da Hawai‘i law wuz actually unconstitutional. Da ACLU legal director revealed how ‘It sends the message that nonresidents are not welcome.’ I thought wuz obvious from da beginning, brah, when dey made dat law, but actually took da lawyers 27 years for figgah dat out. Go figgah. “And so, wuz back to da drawing board for Kalikimaka. So you know how Haole Santa get his sleigh with his reindeer, Hawaiian Santa get his outrigger canoe pulled by his nine wild pua‘a. But look Palm Beach ova dea. She saying but pigs no can walk on water. Das right. And what? Reindeer can fly in da air? See, same smell. So what Kalikimaka wen use his magic canoe for do? He wen go far out to sea, den taking his magic lasso. Cuz Kalikimaka’s uncle wuz one paniolo so he had da kine cowboy background, ah, li’dat, ah. But using his magic lasso he wen go lasso ... da sun. I know Westport ova dea saying, but wouldn’t da sun burn da rope? Das true, true. But what Westport dunno is Kalikimaka wen go catch da sun ... nighttime. Plus his rope wuz magic, so leave it alone. So anyway, what’s da point in dat? Da point wuz he wen do dat for talk stories with da sun for convince da sun for turn up da heat on da tourists. Das why, you no notice, Japanee tourists, Haole tourists, Chinese tourists, dey always getting really bad sun burn. Most people tink ah, stupid tourist, why dey jus nevah use sunscreen. But really no mattah how much sunscreen dey put, still no work. Das cuz in actuality tourists is getting ‘15.2 degrees of extra’ sun. I kid you not. “Still yet, skin all burn, everyting, people continued for move hea. Luckily, Kalikimaka had one more trick left. So you know how lately been having lotta vog coming out from da volcano? Das cuz of Kalikimaka. Scientists say might get health risks cuz all da kine chemical elements coming out in da fumes. What da scientists dunno, but people believe, is dat in those fumes is one gas dat affecks all recent transplant people. It gives dem one sense of feeling unwelcome. You hear all da time, right, about people who move here and dey jus no fit in. Dey like da scenery, but dey hate da people, dey hate da food and dey hate da culture. An’ den dey put all da blame on da Local people for making dem feel excluded, while at da same time dey stay making da gates on top their gated communities more extra high. Yeah, wassup wit dat? Some transplants can be weird like dat. But da gas only has one lasting affeck on da bad apples of da newcomer lot. Eventually cool transplants who down with Local culture going forget dey evah felt anyting. Lotta times da newcomers who do da most complaining, dey usually da first for go. For proof you could ask dem. But dey gone already. Nevah to be heard from again. Part of me wondahs if Braddah Mike going be upset at me or what for making up stories and misrepresenting da Hawaiian culture. Cuz I no tink he wuz mad at da park ranger who made up da story about da rocks. Da guy had good intentions. I figgah I actually helping Braddah Mike out. Cuz if my story catches on den das going be one whole noddah dissertation topic he can write about one day and he can get one noddah Ph.D.
me nuts. "Go beach, drink beers". I was never so glad to leave a place. That story reminds me of going to Finland in the 1980s. It drove them crazy when Americans ask them if they were part of the Soviet Union. 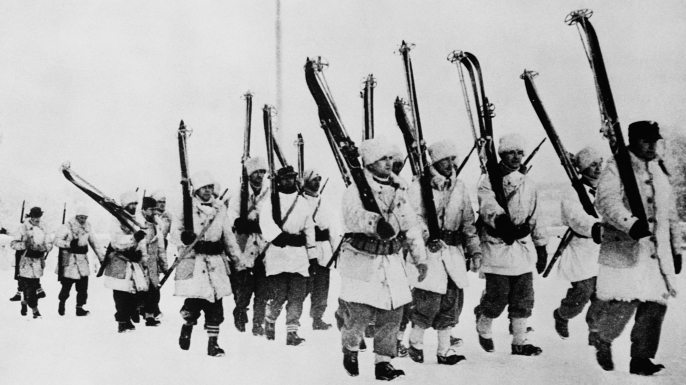 The Winter War between Finland and the Soviet Union in 1939 is a big part of their cultural identity. In 1985, many western Cold War movies supposedly set in Russia would use locations in the Finnish capital Helsinki with an architectural style resembling Leningrad. 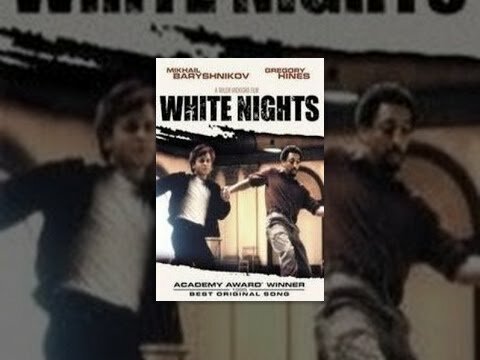 For Barishnikov's White Nights, a team of travelogue filmmakers from Finland, who previously had done work in the Soviet Union, were hired to film a number of locations in Leningrad, such as the Kirov Theatre and the Lenin monument, as well as a Chaika state-limousine. These scenes were then inserted into the movie, some being in-car scenes. Hackford was disappointed with critics who wrote negative reviews, based on their belief that Helsinki had been used once more but he couldn't correct them and damage the reputation of the Finnish travelogue company and their chances of further work inside the Soviet Union. A part of the movie was filmed at the Finnish island of Reposaari. I believe Finland is perfectly happy to have movies filmed there but they do not allow the Red Star to be applied to buildings even for cinematic purposes. Funny you should bring this up. I had some conversations about this region of Finland, called Karelia while in Spain. The upshot of it is Finland says it was stolen by the USSR and they are still angry about it to the point relations between the two countries are still very chilly. About pidgin languages, would you call Papiamento one? It seems too much of a mixture of more than two languages to be a bridge language. How about Afrikaans? Last July I was with a South African woman in Amsterdam but she said her fluency in Afrikaans didn't help her that much with classic Dutch. Papiamento is considered a creole , but scholars dispute whether Papiamento is derived from Portuguese or from Spanish. Afrikaans is also variously described as a creole or as a partially creolised language. I am not sure where linguists stop calling a language a creole. I'm sure there was a pidgin that developed in 1066 as Old English speakers tried to talk to their new Norman masters. You could call Middle English (11th to 15th century) a creole which combined in the Old French words with the Old English grammatical structure. 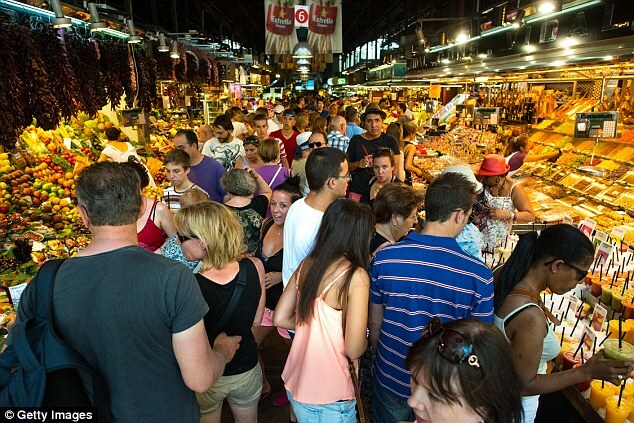 My latest Facebook post was taken at the Boqueria in Barcelona. A boqueria in general is what I would call a farmer's market. However, unlike the farmer's markets in the US, this one was 100% food and beverage. The farmer's market by my house is at least 50% people selling artwork. It is easy to guess that the word boqueria derives form the word bocata, which SpanishDict.com says means sandwich, although I don't recall ever seeing that usage in Mexico. Then again, I can't think of ever seeing a sandwich on a menu in Mexico either. A question I have for the kind Spanish speakers of the forum is whether the word ultimately derives from the word boca, meaning mouth. There is a return to Farmer's Markets in the USA and in some areas the regulations are strict as to opening and closing times, qualifications, on-scene consumption items, non-agricultural items, etc. I do know some people will drive a truck two hours each way but they make far more money selling there than they can to a food broker. I doubt the farmer's market by my house, at the Bruce Trent park, has a single farmer, but consider where I live. Maybe honey farmers, if you count that. Still it has some decent food trucks and I applaud efforts by struggling artists. It is just a misnomer to call it a "farmers market." Maybe "outdoor market" would be more honest.